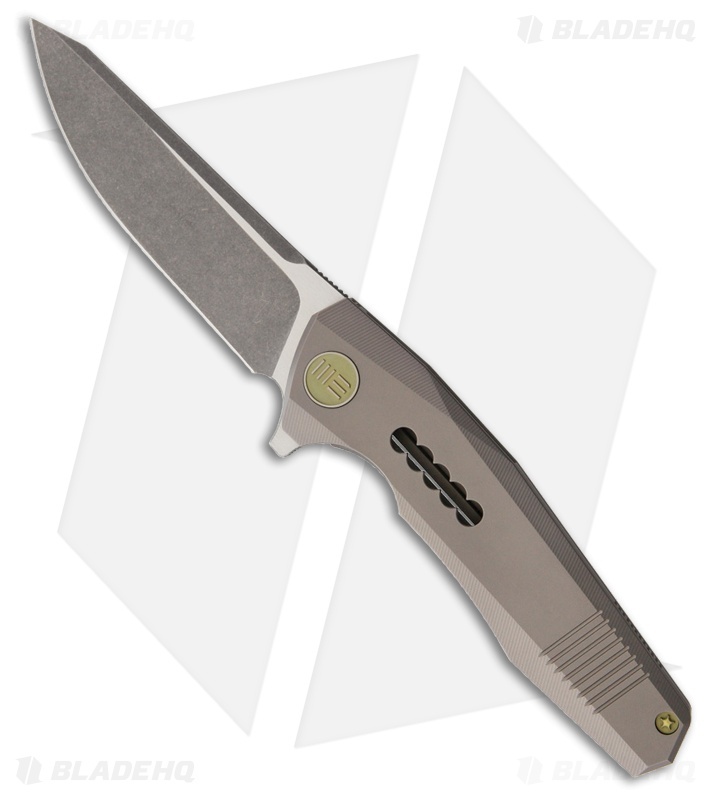 Sleek lines and a modern EDC design join forces in this 603J flipper knife from We Knife Co. The slim titanium handle fits effortlessly in your hand or pocket, with expertly machined contours and grooves for a comfortable grip. This knife sports a two-tone blade with stonewashed grinds and satin flats. Its gray titanium frame lock handle comes outfitted with gold anodized hardware. 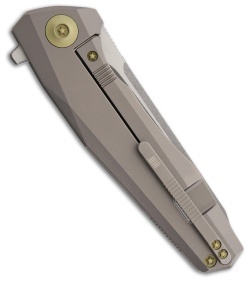 Ceramic ball bearing pivot works with an integrated flipper to provide lightning fast blade deployment. CPM-S35VN blade steel offers extreme strength, durability and edge retention. Titanium construction provides a heavy duty build that won't weigh you down.